Order the new "Very British Problems Volume 3" Today! Since 2012, the Very British Problems (@SoVeryBritish) Twitter account has chronicled the strange day-to-day behaviours and peculiar worries of the British to its 3.3 million followers. Think you’re an oddball? Take a look and find comfort in the revelation that you are not alone. The Very British Problems official Facebook page posts the best of the @SoVeryBritish Twitter feed as well as longer articles and photos to its 700,000 members, causing hours of tense, furious debate around serious issues, such as when the milk should go in. You can also join the 60,000 followers of VBP on Instagram. Wear and display your awkwardness with pride by purchasing a t-shirt, tote bag or tea towel from the Very British Problems Teemill shop. All products are printed in the UK on premium quality 100% soft organic cotton made in an ethically accredited wind-powered factory. NEW FOR 2017: Very British Problems Volume 3! Join Britain’s most famous faces as they discuss the nation’s capacity for cringe - from the horror of small talk to gratuitous apologising and the mighty struggle to express our true feelings - in Channel 4’s Very British Problems, based on the bestselling book of the same name. Now in its second series and starring James Corden, Stephen Mangan, Vic Reeves, Danny Dyer, Julie Walters and a host of other household names, you can catch up on every episode on All4 and stream on Netflix USA. So Very British - a new humour range of lovely cards celebrating the way we make life awkward for ourselves, one rainy day at a time, based on the Very British Problems books. Available now. Since the birth of 2017, Very British Problems can be enjoyed as part of a weekly column in the Saturday section of The Telegraph (not surprisingly, in the Saturday edition). Each week readers are presented with 10 tweets on a specific British topic. One reader referred to it as "amusing in parts", high praise indeed from the author's father. The new Very British Problems official mug collection will proudly let you declare: “Tea = Everything”, as well as instruct co-workers that you want the milk in last, or else! They’ll also remind you that optimum drinking temperature is fast approaching. Choose one of ten designs and carry your tea* with awkward pride. * mugs can also hold other, more inferior, hot drinks. 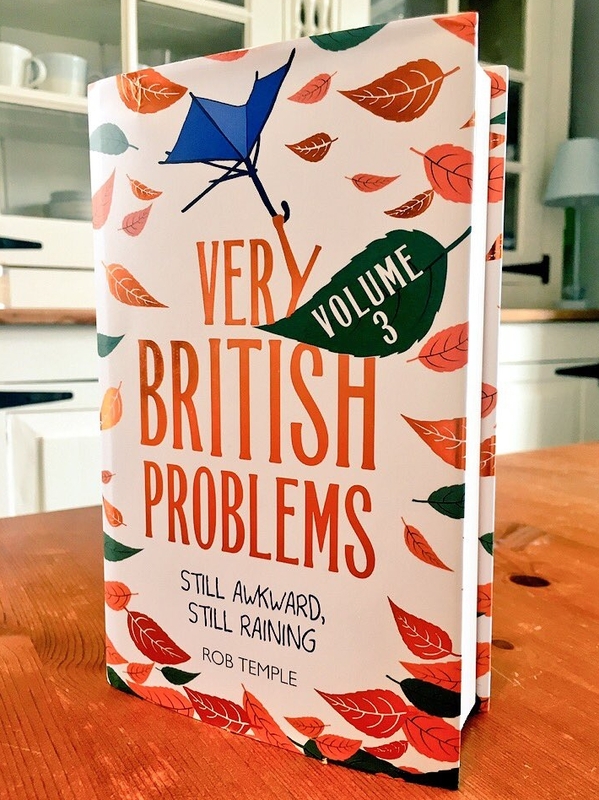 The third book in the bestselling Very British Problems series by Rob Temple is available to order now! Detailing all the agonies Brits face in life, from January dieting through to Christmas excess, this shiny new tome stuffed full of never-before-seen material is sure to prove an adequate gift to a reasonably good friend. Click here to get your copy, please. 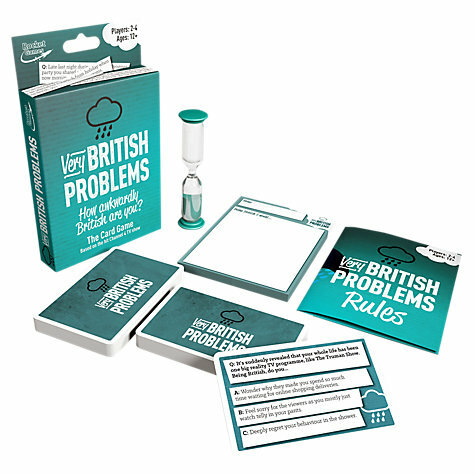 New Very British Problems Card Game! Find out how awkwardly British you really are with the fun-filled Very British Problems card game, based on the @SoVeryBritish twitter feed. Filling every car journey with lashings of cringe. Buy it here! RT @RobTemple101: Feeling uncharacteristically optimistic today. I wonder what’s about to go wrong. “Happy new year!” The year is practically over. Stop it.